Download includes 5 pieces from the sessions that were not included on the original CD release. 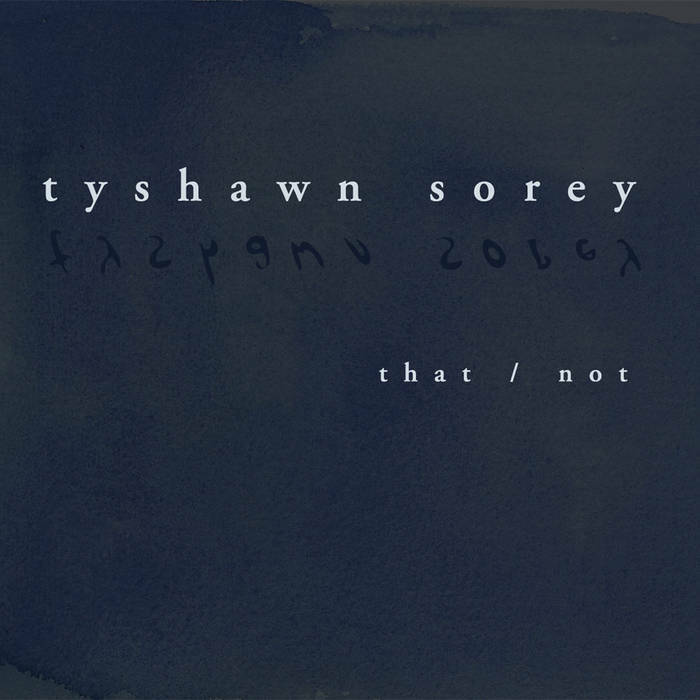 New York drummer/pianist/composer Tyshawn Sorey steps out as a leader for the first time with That/Not, leaving behind his role as a drummer with some of the most respected names in creative music to document his own work as a composer and conceptualist. Sorey and the members of his year-old quartet collaborate in various combinations, exploring a wide range of pieces both notated and freely improvised, on a collective journey with the listener that defies conventional notions of genre and perception. "This record is very different from the work that I do with other ensembles," Sorey explains. "I am a drummer who composes music; the function of this album is not a demonstration of my abilities as a drummer, but my interests as an artist. My objective with this music is to question who and why we are, to question the very nature of what it means to perceive something. The music here is our life and soul expressed in sound."